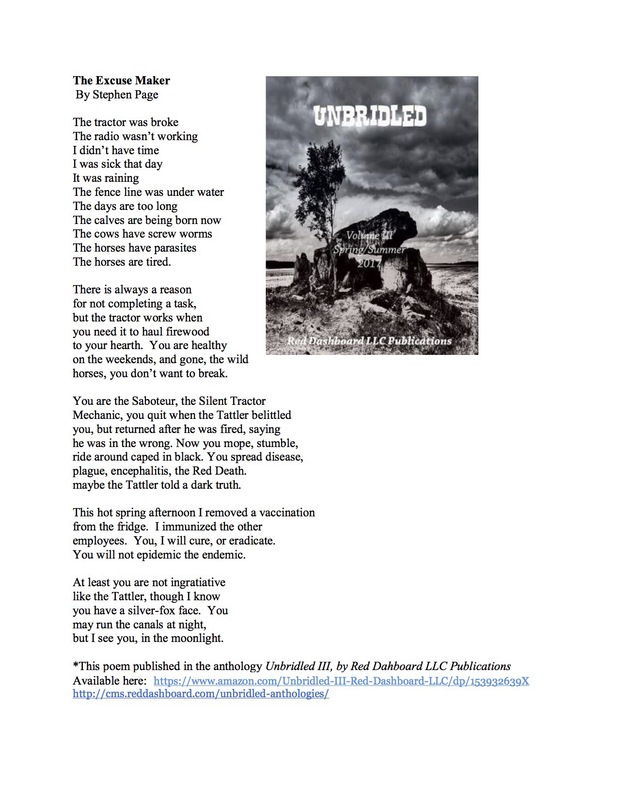 “The Excuse Maker,” by Stephen Page as published in “Unbridled III” by Red Dashboard LLC Publishing. horses, you don’t want to break. plague, encephalitis, the Red Death. maybe the Tattler told a dark truth. employees. You, I will cure, or eradicate. You will not epidemic the endemic. but I see you, in the moonlight. Next Post May 20th – Sahms-Guarnieri and Reutter at t.s. Cornerstones in Bristol, Pa.